Platanus is a small genus of trees native to the Northern Hemisphere. They are the sole members of the family Platanaceae. 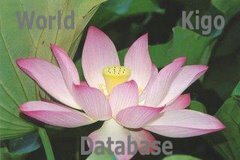 They are all large trees to 30–50 m tall, deciduous (except for P. kerrii), and are mostly found in riparian or other wetland habitats in the wild, though proving drought tolerant in cultivation away from streams. The flowers are reduced and are borne in balls (globose head); 3–7 hairy sepals may be fused at base, and the petals are 3–7 (or no) and spathulate. Male and female flowers are separate, but on the same plant (monoecious). The number of heads in one cluster (inflorescence) is indicative of the species. The male flower has with 3–8 stamens; the female has a superior ovary with 3–7 carpels. Plane trees are wind-pollinated. Male balls fall off the branch after shedding their pollen. The female flowers, on the other hand, remain attached to the branch firmly. The tree literally shrugs off pollution because it is continually outgrowing and shedding its bark. 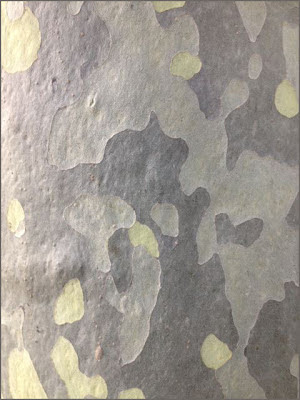 This is why the bark has an attractive "camouflage" pattern in shades of green, gray and cream. The London plane (Platanus acerifolia) is thought to have sprung up in Oxford, England in the 17th century. "What a singularly useless tree is the Plane! It bears no fruit, and is not of the least service to man." In Germany, we have many Platanenallee, alleys with this trees by the roadside. They are a joy to drive through in autumn! Right outside my front door grows a giant American Sycamore, an outsized tree for a cramped city neighborhood. It's crown of branches crowd in so close to the second floor windows that when I am in that room I feel like I'm living in a tree house. in rags, half in radiance. In Sacramento, California, USA : our sycamores are molting, now in June. Thank you, dear anonymous contributor!